I have been a jewellery addict from a young age. 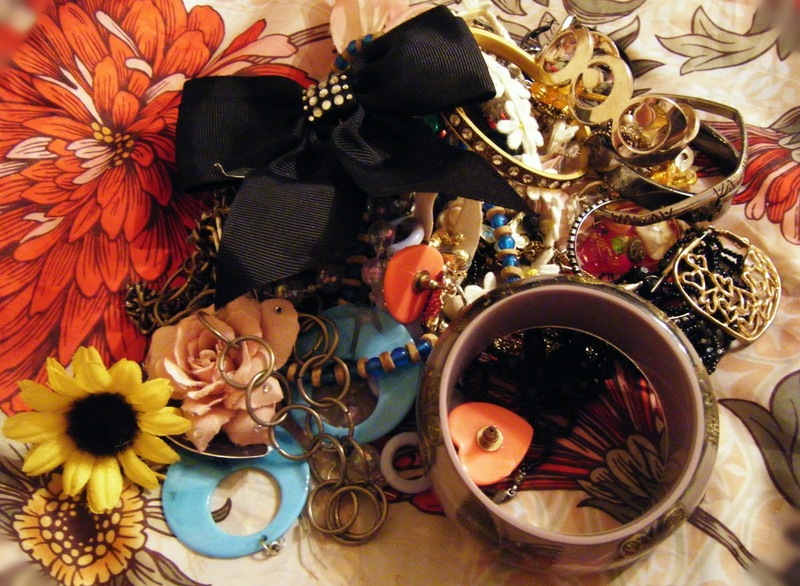 Ever since I got my ears pierced when I was six I have bought an item of jewellery almost on a weekly basis. I received my first ever jewellery box at the age of seven, one of the music box ones with the twirling ballerina and have been in love with ornamenting myself with gorgeous jewels and gems ever since. 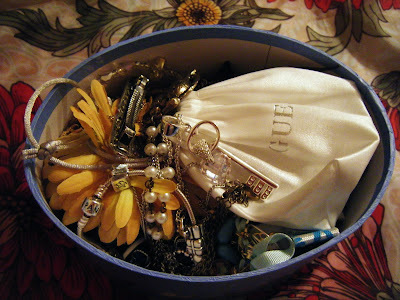 I wanted to show you some of my favourites from my collection as I love to see what things other people collect and jewellery is one of my collection must haves. What I love about my collection is that I remember who I received each piece from some each piece is very dear to me as it has a story and a memory of the person who gave it to me. 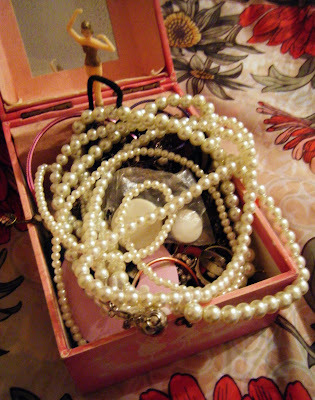 The bad thing about having such a large collection is that I hardly get to wear some of the beautiful pieces I have and it's such a shame as they are left sitting in my jewellery boxes and not being shown off. You will have noticed that I have had a lot of jewellery inspired posts on the blog lately, I simply cannot get enough of sharing pretty pieces with you all. 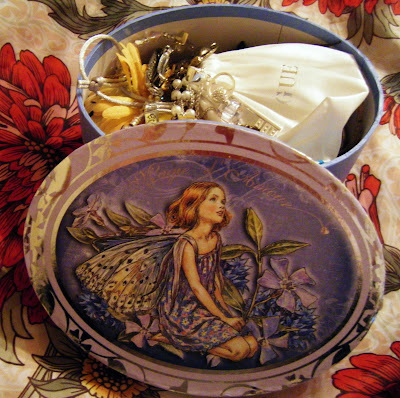 I received this piece from my lovely pen pal Bee. I love the pearl like feature on the chain and the two birds with the flower, I think it's so sweet. 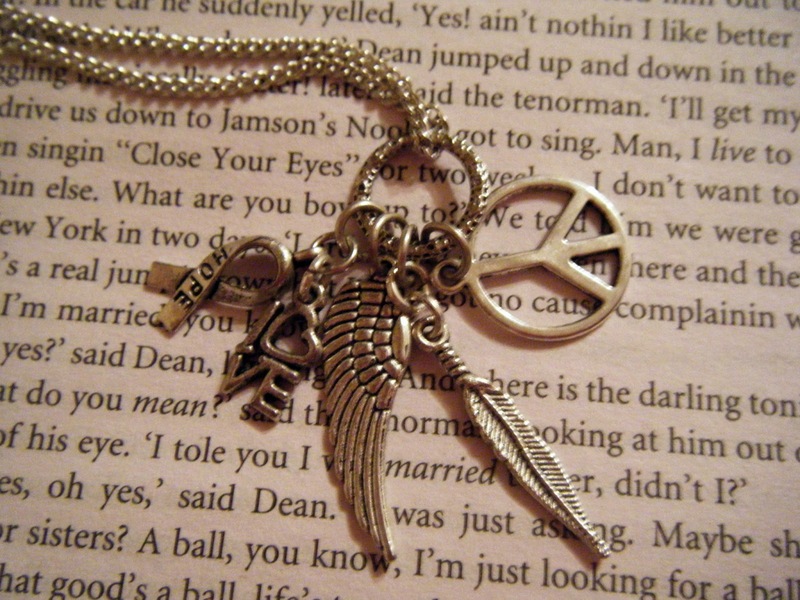 I bought this necklace myself as I loved the charms on it. 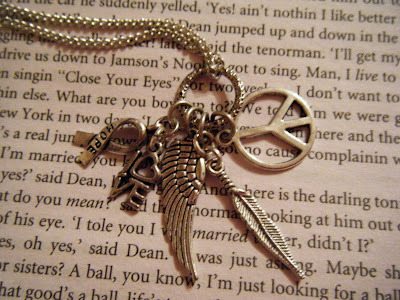 I collect anything to do with angels and am a bit of a hippy at heart so the peace sign and angel wing suit me perfectly. 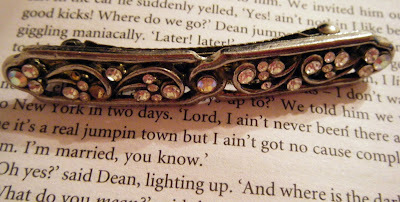 I found this antique hair clip in my house one day. I don't know who owned it but judging that my house is over 200 years old it could have been a lot of peoples! Two of the gems are missing but I still love this piece, I think it's so pretty. 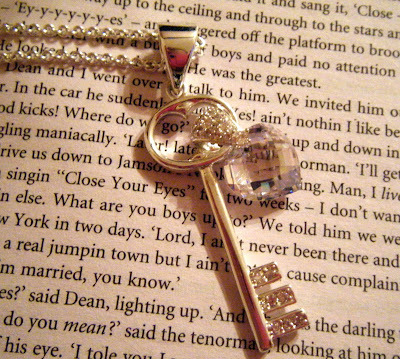 I received this Newbridge Silverware necklace for my 21st birthday from my Auntie Kay. Twenty-one represents 'key to the door' hence the key charm on this. I think it is so sweet with the gem heart also. 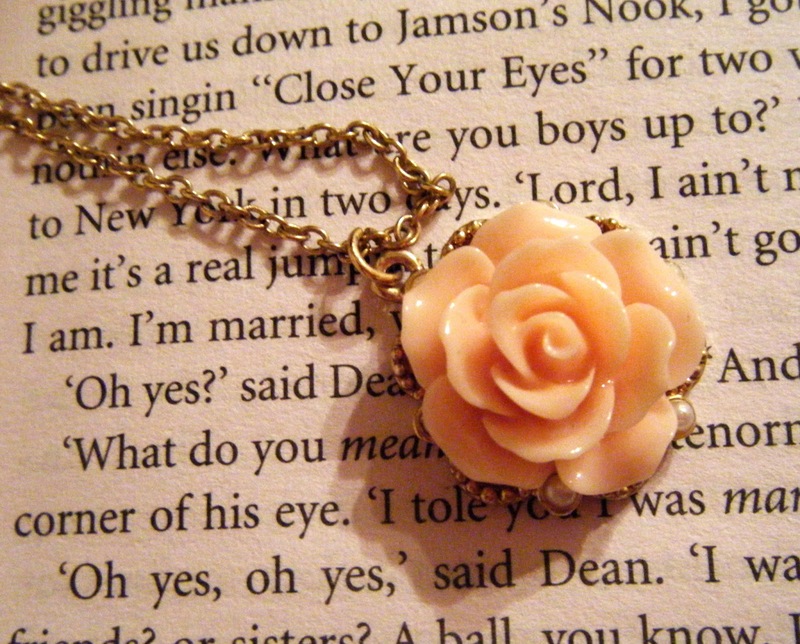 I received this gorgeous Forever21 rose and pearl necklace from my lovely pen pal Mikaila. I love the romantic feel to the piece. This is my engagement ring, it's made from white gold, sapphire and diamonds. 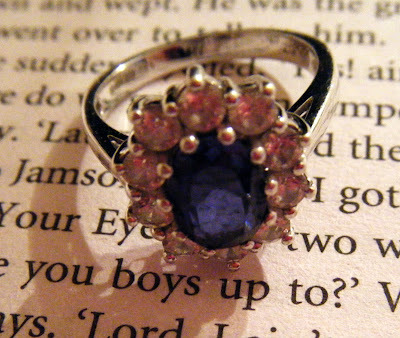 My fiance Jacek said he picked this one for me as the blue from the sapphire matched the colour of my eyes, sweet right? 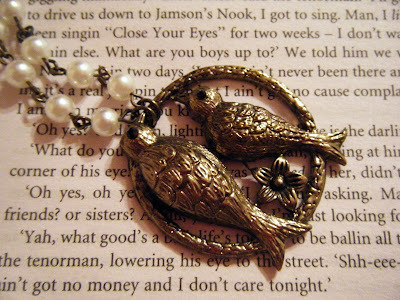 I bought this piece from an online store called Ji Ki Ki. I bought this as I am a complete snail mail addict and love anything post related. The address on this is so adorable. 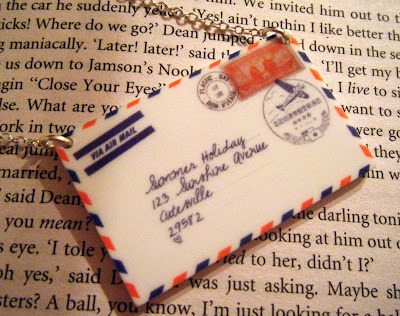 I've never actually worn this piece as the chain on the necklace is too short for my liking but I really do love the envelope motif. 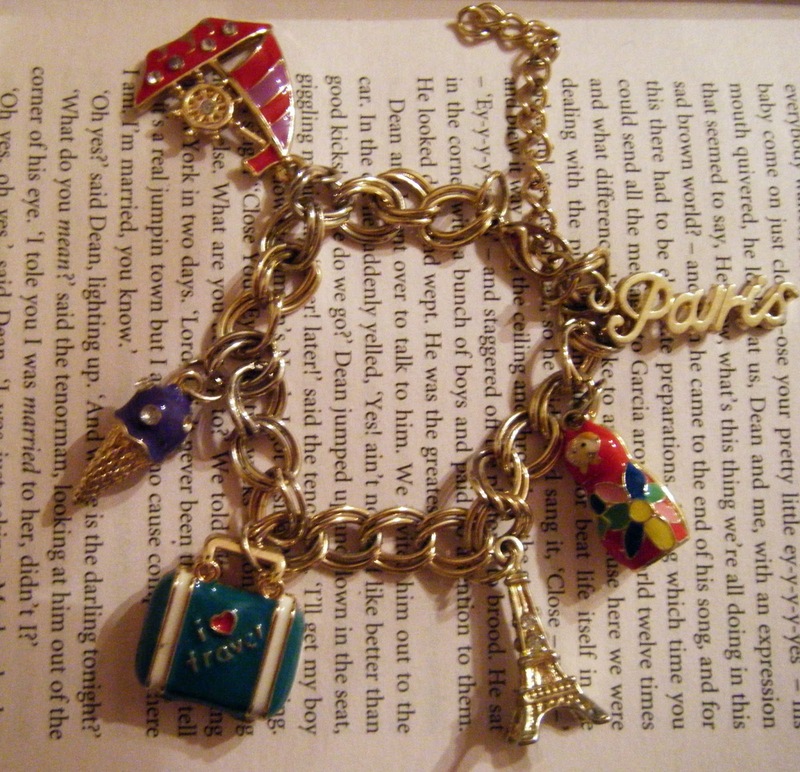 I bought this charm bracelet in Penneys or Primark for European readers about two summers ago. I thought the charms were really cute. Russia is one of my favourite countries so the babushka charm reminded me of that and also I love anything Parisian inspired so the Eiffel Tower charm and the word Paris fitted that theme completely. I received this beautiful bracelet from an old pen pal of mine named Sarka. 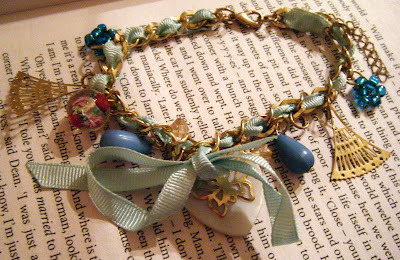 I love the baby blue colour of the ribbon entwined with the gold coloured links. The charms are also really sweet. If you have shared some of your favourite jewellery pieces on your blog please link the post to me in the comments section, I would love to take a peek. 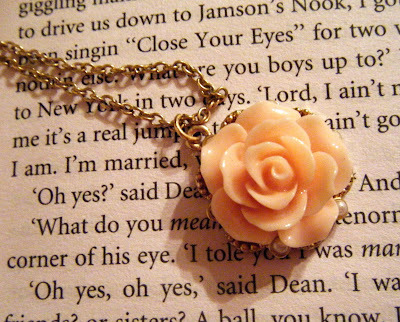 Stay pretty people and decorate yourself with stunning jewels! 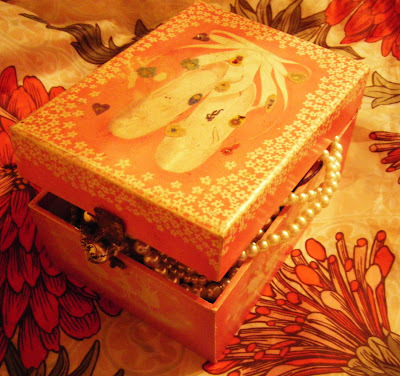 Your jewelry is gorgeous and I love your jewelry box. 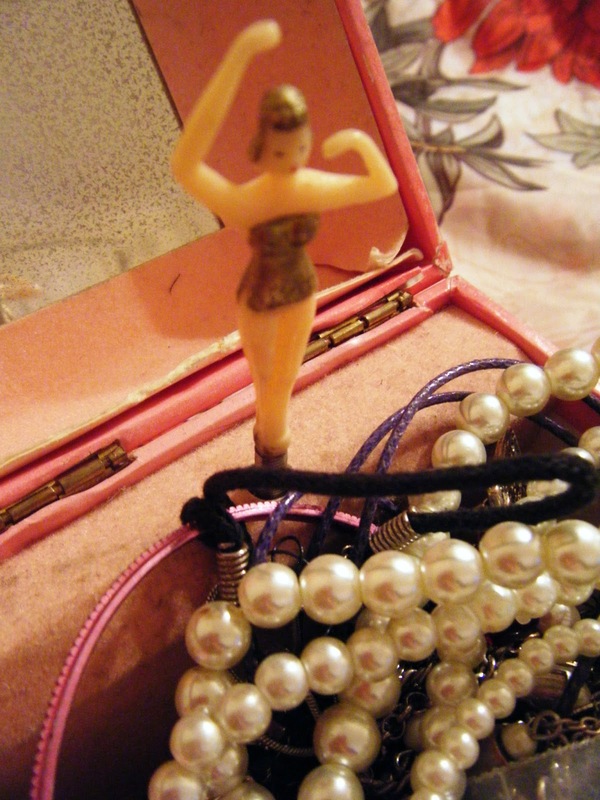 I had one with the spinning dancer when I was young and I loved it. Seeing your pictures brought back some memories! I am your newest follower from the weekend social mix blog hop. Hi, fellow co-host! :-) I really love the envelope necklace! My fiance is deployed to Afghanistan, and I've been writing him a letter a day... in fact, that's how we started dating in the first place-- I sent him a letter while he was in boot camp! Letters are awesome!